I could really use one of those advice bowls! Yeah, New Girl Season 5 Episode 3 was pretty random, but it somehow seemed to work out. 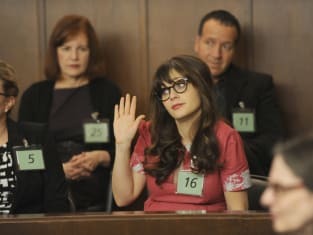 It was actually a pretty genius move to have Jess go away for a month for jury duty to accommodate Zooey Deschanel's pregnancy. They had to come up with something unique. Let's not waste anymore time and discuss, "Jury Duty." Was anyone at all surprised Nick would have a problem with Cece being messy? At first I felt like it was a little over the top, but I quickly remembered this was Nick we're talking about. It was hilarious seeing him trying to figure out how to get over the mound of clothes left in the hallway. It also showed Nick can make just about any situation seem extremely dramatic. I actually understood why Jess didn't want Nick to confront Cece about her mess. Cece has a pretty bad temper, and Jess knows Cece would exact revenge on Nick in someway if he made her too angry. I was a little confused by Cece's mess, though. Schmidt is such a neat freak, and I'd think Cece being a complete slob would drive him crazy. Do I think Schmidt would tell Cece to be cleaner? No, but I could totally see him cleaning up after her. He told Nick to clean up after himself for goodness sakes. Of course if Schmidt has been cleaning up after Cece, we wouldn't have gotten the spectacular outburst from Nick. When he was talking about how cleaning was fly, I couldn't help but laugh. It was great how Schmidt finally realized, thanks to Jess, he was basically marrying Nick. I'm pretty sure everyone knew Cece was the female version of Nick. I wasn't completely shocked to learn Jess was all about jury duty. She's always been someone who wants to do her civic duties. I was confused about why she had to try to get out of jury duty to get the acting principal position. If she was picked to be on the jury, she would miss out on working with the woman she didn't like. I understood she wanted the chance to show she had what it takes, but I guarantee she'll get another opportunity to prove herself. In the end, Nick and Cece finally made amends. I figured jealousy was going to be a factor in the two of them fighting. At least they both can now bond over their love of Schmidt. Of course the best thing was Jess, after taking off for a month, leaving behind the gown of advice for her friends – how will they survive without her? Want to relive Nick and Cece's epic fight again? Go watch New Girl online now via TV Fanatic. Just make sure to come back to let us know what you think. God! I would have bullied you as a kid. Permalink: God! I would have bullied you as a kid. Make up an excuse and get out of jury duty. 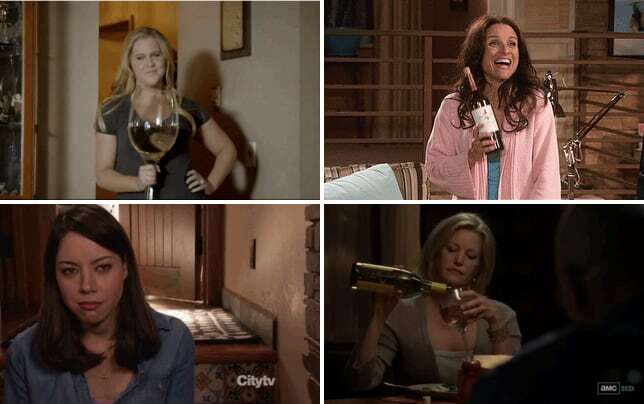 Jess, please, I need you. Permalink: Make up an excuse and get out of jury duty. Jess, please, I need you.